I've added 6mm firepolish crystal beads, and suspended them from sterling silver French hooks. The earrings dangle 2 inches from the tops of the findings to the seahorses' tails. 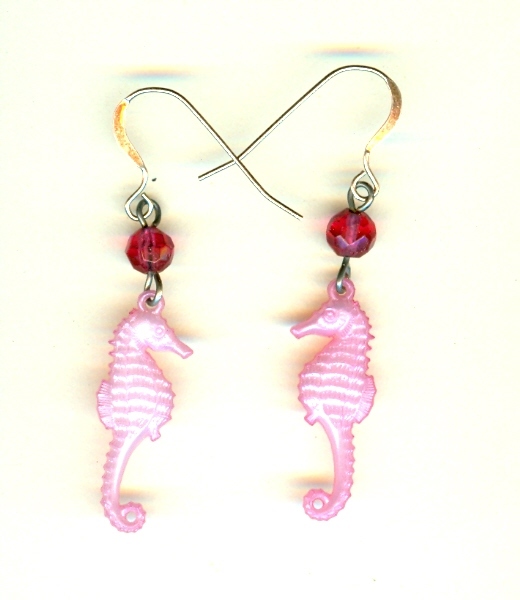 They're the perfect small earrings for summer.